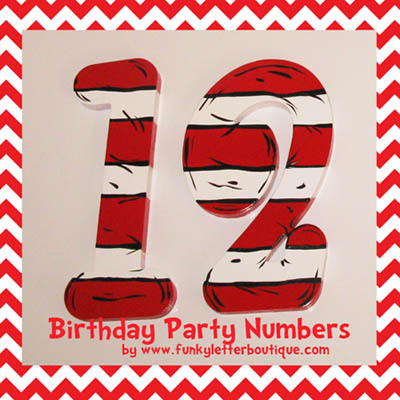 Cat in the Hat Striped Birthday Party Decoration Wooden Number First Birthday Decor Great photo props! 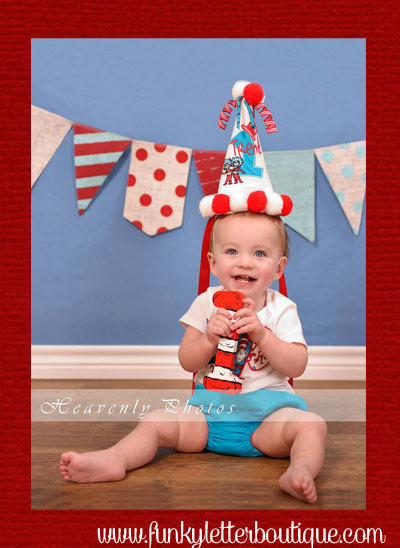 If you are planning a Dr. Seuss themed Birthday party these are a must have! They are hand painted made to match the Cat's Hat. Numbers are made of 1/2 baltic birch wood and painted by hand by me. Price is per number. Chose from 7",8",10",12", 14", 16"
Be sure to leave a note in the message section for what number you need. If you are a big fan of Dr. Seuss be sure to check out my store. I can paint custom name letters, bathroom decor, frames, stools, light switch covers pretty much anything you can think of!